Carbondale and Rural Fire Protection District (CRFPD) protects the life and property of approximately 15,000 residents and 20,000 commuters in a 300 square mile area of central Colorado. This response area includes the towns of Carbondale, Colorado in Garfield County, Redstone in Pitkin County and Marble in Gunnison County. The District includes lands managed by the United States Forest Service and the Bureau of Land Management. It’s also included portions of the Maroon Bells-Snowmass Wilderness area. 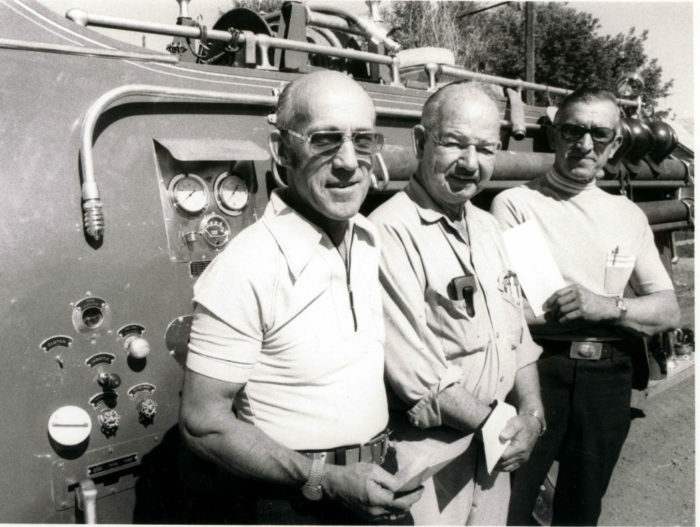 CRFPD was founded in 1953 as an all-volunteer fire department and remained as such until 1980 when the first paid fire chief was hired to lead the organization. The District began providing modern ambulance service with volunteer EMT-Basics in 1978. In the early 1980s, the Colorado EMT-Intermediate certification program was institutionalized and some Carbondale volunteers began the slow, methodical change to providing Advanced Life Support Services to the community. Dr. Mike Stahl was recruited as the District’s Physician Advisor in the early 1980s and remains in that position today. Currently, the District operates four ambulances staffed and equipped to Advanced Life Support standards including at least one Paramedic, or EMT – Intermediate (EMT-I) on every emergency call. Over the years, the ever-increasing demand and expectations of the public for advanced level emergency medical services has driven the need for more career EMTs and Paramedics at CRFPD. The same demands for service have driven the need for additional career fire fighter positions at CRFPD. All District operations are managed by a professional, career, Deputy Chief in charge of operations. Additionally, the administrative and maintenance demands on the District have driven the need for additional professional positions, including a full time fire marshal, training coordinator, and maintenance coordinator. Currently the District supports 25 full time positions and 40 volunteer firefighters and EMTs. Throughout its history, the CRFPD has maintained its culture of “The Volunteer Spirit” and heavily depends on the community volunteers to deliver a high level of fire protection and emergency medical services to the community. A full service, “all-hazards” organization, CRFPD provides fire prevention/inspection services, fire suppression (structural, wildland, and vehicle), advanced life support emergency medical services (paramedic ambulance transportation), public and risk reduction education, hazardous materials response, and technical rescue (high angle and swift water rescue) services. In 2018, the Fire Department responded to 1200 calls for service.